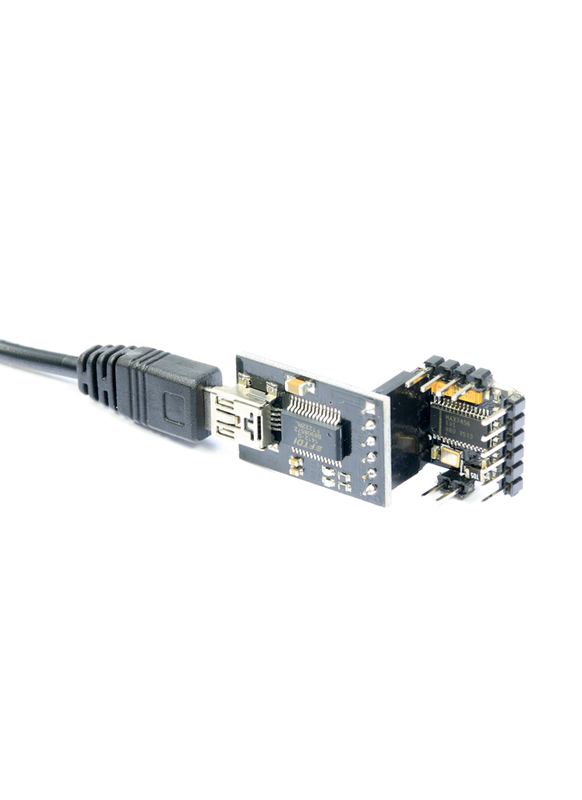 A FTDI adapter such as this one is required to program/update firmware on arduino based microcontrollers such as the MinimOSD and MWC MultiWii FC. In comparison to using a FTDI cable, this USB breakout board has TX and RX LEDs which provide a visual indication to verify that data is transferring. This particular FTDI adapter is based on the FT232RL chip.